What I would like to do is generating an image representing the NDVI anomaly of an area. By NDVI anomaly, I mean the current NDVI compared to the average NDVI for the same period of the past years (of course this definition is not accurate : how many year, how do I define the same period, etc, but lets begin with the beginning). Does anyone already did something like that ? Do you have hint of how to do that ? 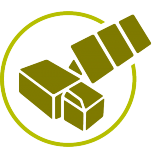 You do a two-step approach, first using Statistical API (http://www.sentinel-hub.com/apps/fis-request) to analyze the NDVI behavior over the chosen polygon (e.g. field). Once you have an average NDVI known, you define a Custom script to visualize comparison of actual NDVI and average NDVI, encode this script and pass it as EVALSCRIPT parameter. You could use “multi-temporal” feature of the Sentinel Hub to do the above in the same step. It might take quite a while though to process multiple years of data so I am not sure the result would be useful. From the compute/cost point of view, it would make sense to calculate average NDVI once (e.g. once per year?) and store it in the database on your side, along the field geometry. In such way you could do the second step of the first option very fast. Thank you very much, this is very useful. What I did not precise is that the goal is to have a NDVI Anomaly picture of a “big” zone, something like 40x40 km, not only a field. I like the first idea, as I already use the Statistical API to do NDVI anomaly calculation (and time series). So I already have the “averaging” formula. But as far as I understand, I can only pass one parameter with EVALSCRIPT, which mean only one NDVI average value for all the zone ? How can I manage that ? One proposition can be : split my 40x40 zone into 16 1x1 km square (a mosaic), calculate a NDVI average for each square, request an image for each square and present to the user the mosaic. Cons : This is more work on the client side to build the final image, and I will have discontinuity in the NDVI anomaly (from one square to another). Does it make sens ? Another idea I had was to get all the historical NDVI of the zone, not as images but as raw data (like the FORMAT=application/json), and compute on my side a NDVI average pixel by pixel. Then, I just request the NDVI of a given date in the same raw data, compute the NDVI anomaly pixel by pixel, and draw the final image. But this not simple, and JSON file format do not seems to be adapted. So for now I do not know how I could do that. There are many things in the post above so let me try to comment then one by one. -JSON file format is not meant for getting “raw data”. 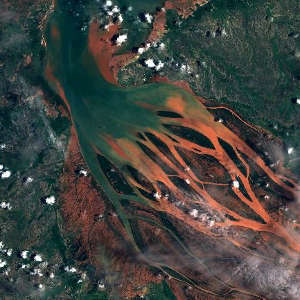 If you want to get NDVI value, you can use 32-bit float tiff format (see also https://www.sentinel-hub.com/faq/how-are-values-calculated-within-sentinel-hub-and-how-are-they-returned-output). However this does not seem practical. -You could get “zones” in JSON indeed, but these zones will be changing over time so you will have a hard time doing an average. What I think is the most relevant question is: Would you want to compare actual NDVI value of each individual pixel to some “static average NDVI value” (static = for whole area, e.g. 1x1 km) or would you expect to compare actual NDVI of each individual pixel with the average NDVI value of that specific pixel. If the latter is correct, I think you cannot use Statistical API and you would have to try multi-temporal processing option. In this function we limit the scenes, which are used for processing. These are based also on input variables, coming from Playground. further conditions in this function. The more scenes there are, longer it will take to process the data. After 60 seconds of processing, there will be a timeout. You can adapt a very similar approach to calculate average NDVI instead of maximum NDVI. And once you have average NDVI, you can (in the same script) also do a comparison with the latest one and visualize it however you like. -script will take much longer to process as it will crawl through several (or several tens) scenes. I suggest you try with smaller tiles (e.g. 1x1km = 100x100 px) and start with shorter time intervals, so that you see, how it scales. You might also want to use “MAXCC=30” (or similar) parameter so that you filter out the scenes, which are too cloudy, resulting in faster processing. Let me know, if I guessed or missed some elements and I am willing to try to help further. Thank you very much for the answer. This is very complete and very interesting. Would you want to compare actual NDVI value of each individual pixel to some “static average NDVI value” (static = for whole area, e.g. 1x1 km) or would you expect to compare actual NDVI of each individual pixel with the average NDVI value of that specific pixel. As you understood, the second option is the good one. I want to compare the value of the current NDVI for a given pixel to the average of the same pixel in comparable periods for last years. So I do not have a calculation over 3 full years, but just 3 months (December 2017, December 2016 and December 2015). Of course, this is an example, all those numbers are parameters (it can be a 10 days period over the last 5 years) (those parameters can be hard coded in the script for now). I could also imagine that today NDVI anomaly is : (Average NDVI of December 2018) - (Average NDVI of December 2017, 2016, 2015). As I understand, the multi-temporal script could be a solution (even if I still do not know if I can have non continuous periods (like the same month in different years, not with other month in between). The only problem is that I am not really familiar with that neither than with JS. So It will require time. You also gave me two really interesting hacks : The cloud detection and the TIFF extraction are really interesting. I think I will use both (for the first once again I need first to understand the code, the second will be useful to analyse detailed data using R). So many thanks again for you answer. maximum NDVI script mentioned above. It would be useful if you try to manually check some of the results, to make sure script is working fine. You can compile such a Custom script in your own tool and pass it as an EVALSCRIPT parameter to the service call. I used the script you proposed to improve it a little bit. I think my way of playing with date is not good, but I have no clue how to do it properly. That being said, we do have some ideas on how to make it easier. In evaluatePixel function inputMetadata are unfortunately not accessible. This is somehow a fail on our side, not assuming it will be needed. We are aware of it and will be added in one of the next version of EVALSCRIPT. As scenes are ordered in a descending order (PRIORITY=mostRecent parameter, which is default), you can take the date of the first scene and get a same result. This script now works, I just hope it produces the results you want. I noticed you replaced “max ndvi” with “average ndvi”, which IMHO is not the best choice. Whenever there are clouds over the field, this will result in very low NDVI, impacting your average, even though it has nothing to do with the field itself. This is perfect ! Thank you !! There is surely things to improve, but now it work and I will be able to test and improve it gradualy.